Hello! We’re Robert (“Robbie”) and Maria Johnson, owners of Johnson's Tire & Auto, Inc.. We started our business because we have a family history of automotive repair and parts in Smithfield. Robbie’s father and grandfather co-owned Smithfield Motor Parts in Smithfield for almost 40 years, and Maria has been in the auto repair business for 30 years. Our home has been in Johnston County for 24 years. This community is where we live, shop, socialize, and worship, so we wanted to also bring our business to Smithfield and the surrounding areas—which we were so happy to do on October 26, 2006. Today, Johnson's Tire & Auto, Inc. is proud to be a full-service preventive maintenance and auto repair center, performing high-quality, guaranteed service you can trust at a fair price. We repair domestic and foreign vehicles, and are your best choice in the Smithfield area for scheduled maintenance of your car, SUV, truck, and fleet vehicles. Our technicians are equipped with the latest diagnostic equipment to ensure your vehicle is serviced correctly, while maintaining your manufacturer’s warranty. We only use quality replacement parts, and our mechanics are ASE certified. Call us at (919) 934-2662 to schedule an appointment, or just stop on by! Meet Your Auto Repair Team at Johnson’s Tire & Auto, Inc.
Robbie Johnson comes from a long line of automotive industry entrepreneurs—his father and grandfather co-owned Smithfield Motor Parts for nearly four decades, and he grew up in the business. Maria began her automotive career in 1988 with a Firestone independent dealer in Smithfield. In 1990, she joined Bridgestone-Firestone, enjoyed the job, and took all the classes and technological training she could. She accepted her first management position at a Firestone store in Raleigh, NC in 1995, and went on to receive the Distinguished Service Award for Retail Operations. Maria has also gone to Barton College for business administration. Wayne Phillips, aka Rip, is our Service Manager with ASE certification, IMACA certification, and GM Hybrid Training certifications. He has been with us for over nine years, building on a lifelong love of cars. Rip is a Pittsburgh native, and (of course) a huge Steelers fan. Brian Chavez has been with Johnson’s Tire & Auto for over six years. He is originally from the northern wine region of California, but likes the Raiders more than a glass of chardonnay. Professionally, though, Brian loves diagnostics, and is particularly good with emissions problems. He enjoys working with cars and people. Thomas Scoggins joined us recently; however, he worked as one of Maria’s technicians at Firestone and then at Carolina Tire & Auto before joining our team, so we know him—and his awesome work—quite well. 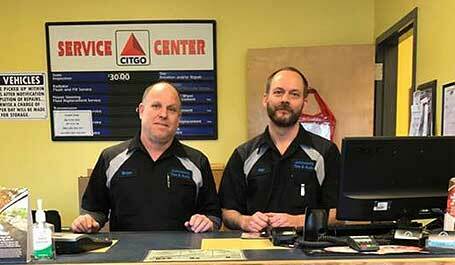 Thomas handles maintenance, brakes, tires, and alignments. Olivia Johnson (Robbie and Maria’s daughter) has been with us for five years. She loves working with people, and has already been adopted by several customers because of her genuine nature and smile. As her family, we are very proud of how quickly she has learned about the auto repair industry and tires. Olivia is a graduate of the University of Mount Olive in Criminal Justice. Serving Smithfield, NC and surrounding areas, including Clayton, Four Oaks, Garner, Pine Level, Princeton, Selma, and Wilson Mills.